I want to share with you how we saved money while traveling, and how you can do the same for your next vacation. 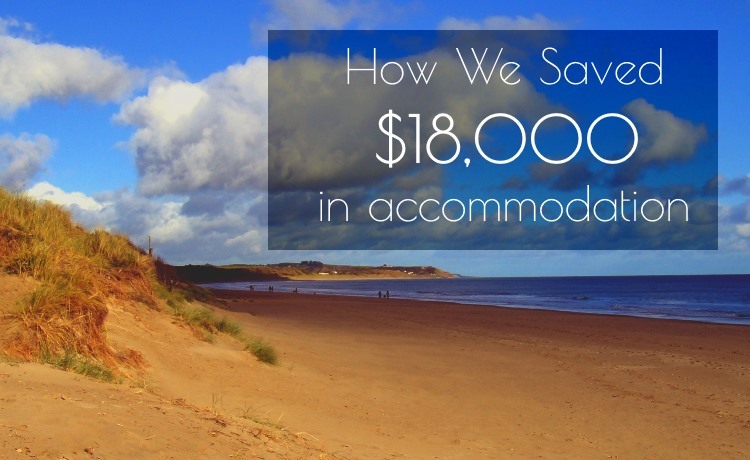 I will get right to the point: we saved over $18,000 in travel accommodation costs, while living like a local in countries around the world … through pet sitting! What was once an activity left for neighbors, friends, and family to do as a job is now a growing travel trend. An online community of trusted individuals (such as ourselves) who enjoy taking care of pets and homes for people we have never met. Of course, you only start out as strangers. We have made fast friends with each wonderful home owner that we have the opportunity to work with, and on two occasions have become repeat house sitters. We’re currently pet sitting in Ireland on the outskirts of a town called Enniscorthy. We take care of a gentle dog named Polly and we live in a beautiful home surrounded by trees, chirping birds, and a small stream in the backyard. We have a vehicle at our disposal to explore hidden spots around the sunny southern coast of Ireland. Sunny and Ireland are a bit of an oxymoron. The sun does peak its head out from behind the clouds every now and then. Each of the four house sitting experiences this year have been amazing in their own way. Our first house sit this year was in Dulwich Village, London. For those who haven’t been to this particular area of London, the houses estates are quite lovely. We looked at what a comparable 3 bedroom home would rent for and were shocked. We could never have afforded the 700 (British Pounds) per week asking price. And that was just to gain the keys to the front door, let alone costs for heating, electricity, internet, TV, and any other costs involved in renting an apartment/house. We decided to give them a try and said, “Well, if nothing comes of it then we are only down $100”. Boy were we wrong! With savings of over $18,000 in 2015 alone, our annual membership fee has paid for itself many times over. Each of our house sits listed in the table above have come from Trusted Housesitters – one of the most popular websites for sitters and home owners. Signing up is easy, simply pay the annual membership fee of $99 and you will be on your way to applying for pet sits around the world. We took the time to make a good profile in order to land our first pet sitting experience in London. Make sure to really show your personality, experience, and skills in order to land top gigs. Fancy a French Chateau in Wine Country? 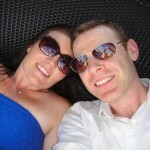 There are many locations around the world that you can apply for pet and house sitting assignments. We focus mainly on the UK, Ireland, France, and Spain since those are the areas that we are slow traveling over the next while. I have seen pet sits in Asia, the Caribbean, and even Iceland! While researching just one good example of a house sit for this article I logged into my Trust Housesitters account and went to the search functionality. It must have been ordained because the very first result that came up was a pet sit for two dogs in a working winery Chateau in the famous wine producing region of Saint Emilion, France! I almost fell out of my chair. Anyone that knows me understands that I am a self confessed oenophile! Too bad we are going to be in Portugal this Christmas, as I would have *loved* to have won that house sit. As you can tell, we saved a lot of money this year. I suspect there are many other house sitters around the world that are taking long term pet sits and also saving money on travel accommodation. The possibilities are endless on TrustedHouseSitters.com. While you don’t have to travel indefinitely, you can still sign up for a house sitting platform and try to land a pet sit like the Chateau above for your next 2 week vacation. Of course you’d need to have a pretty good profile to be accepted by homeowners. House sitting platforms save travelers millions of dollars in accommodation costs each year. In addition, they save pet and home owners millions in kennel and property management fees! I love it when two parties can exchange value like that, a definite win-win. Or if you are unemployed! If you’re looking to explore new locations around the world, live like a local in a new city, help out a homeowner, all while saving money on your travel expenses, you should definitely consider house/pet sitting.